Everyone has faults, weaknesses, and makes mistakes. It's what makes us human! But what inspires a Passionate Imperfectionist is that their brains are consistently striving to learn from their mistakes and understand why they, or others, do the things that they do. Basically, they geek out on personal development and self-exploration striving to become a better human being and servant of our Creator. My first journey into this world of "personal development" was a rocky one that left me crying bitter tears when I came face to face with my real self for the first time in my life. But it's also the path that has helped me grow and push myself forward. I'm far from perfect, but my experience, training, and coaching Muslims from all over the world since 2008 has given me insight into human behavior and spiritual growth that I pray to share with you, along with others who join my platform here in the near future, so that you too can become even more excited about life, your potential, and all the ways you are blessed. In the meantime, I'd love to have you become a P.I. and give the world one more person who doesn't have time to pretend to be perfect! 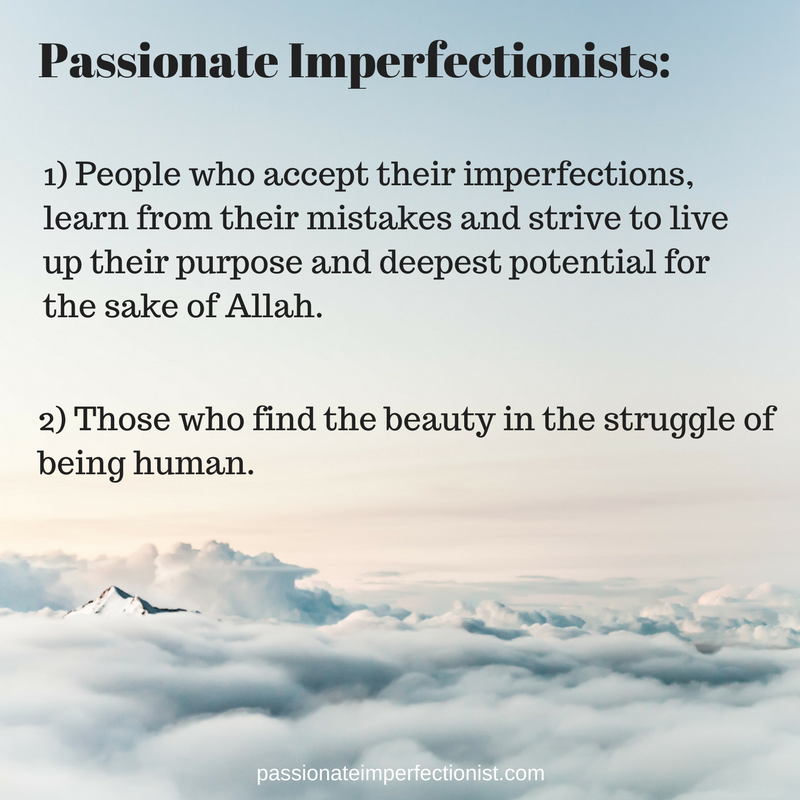 Click here to learn more about WHY being passionate about imperfections is a GOOD thing!